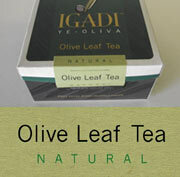 Olive leaf tea has been enjoyed by ancient civilisations in Greece for as long as olives have been cultivated. We are proud to be able to share this health giving drink. 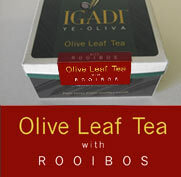 Not only has olive leaf tea a great flavour, but also detoxifying and healing properties. Olive leaves are exceptionally rich in vitamins A, B, C and E, and will give your body an anti-viral, anti-bacterial and anti-fungal boost. Great to fight off colds, flu and infections. These leaves are grown on our Bio-dynamic farm in South-Africa, picked by hand and dried naturally to preserve their nutritional value. We only use tender young leaves and delicate spring buds. 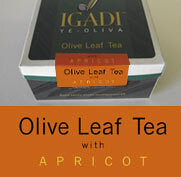 Olive leaf has been shown to assist or boost the immune system's ability to fight off illness, improve the cardio system, and increase energy. Olives and olive oil are a staple in the healthy Mediterranean diet. 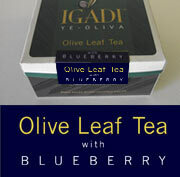 Olive Leaf has all the same healthful qualities without the fat, and in higher concentrations. 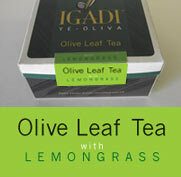 IGADI™ is your best source for biodynamic olive leaf products.